Most people are either dog lovers or cat lovers. Today’s post is for siamese cat lovers–those who actually love the things they hate about their finicky Siamese Cats. The Siamese Cat, although sleek and beautiful, is a cold and calculated foe. 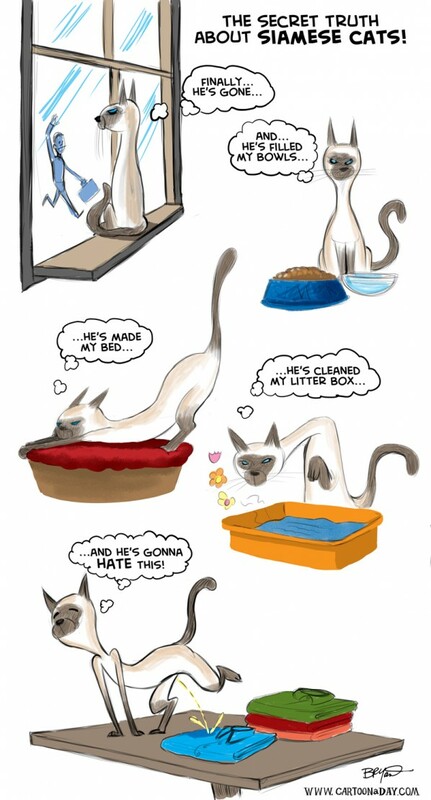 Inspiration: Funny cartoon poster featuring the crazy antics of a siamese cat. A post for cat lovers.